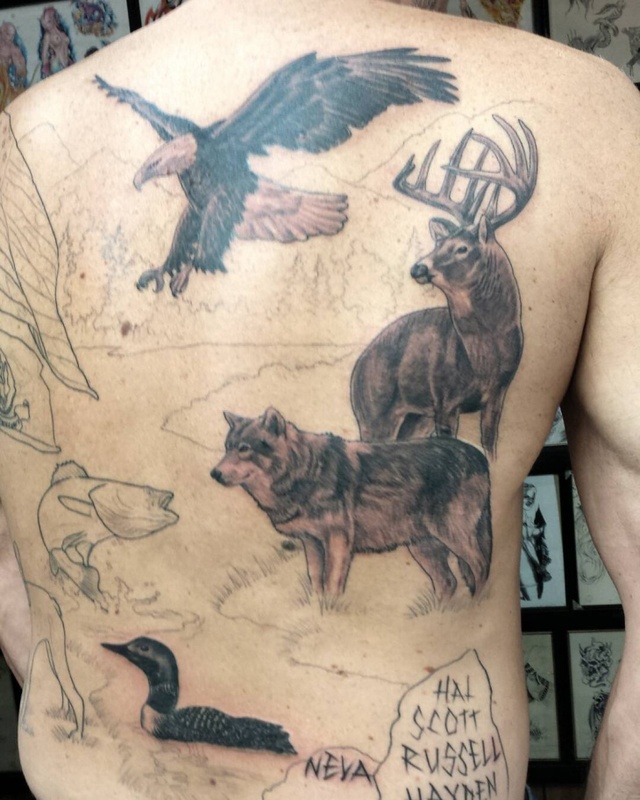 Animal tattoos are by and large loved by a great number of people. They include not only dogs and cats but several wild animals which are now being popularly sported by animal lovers. 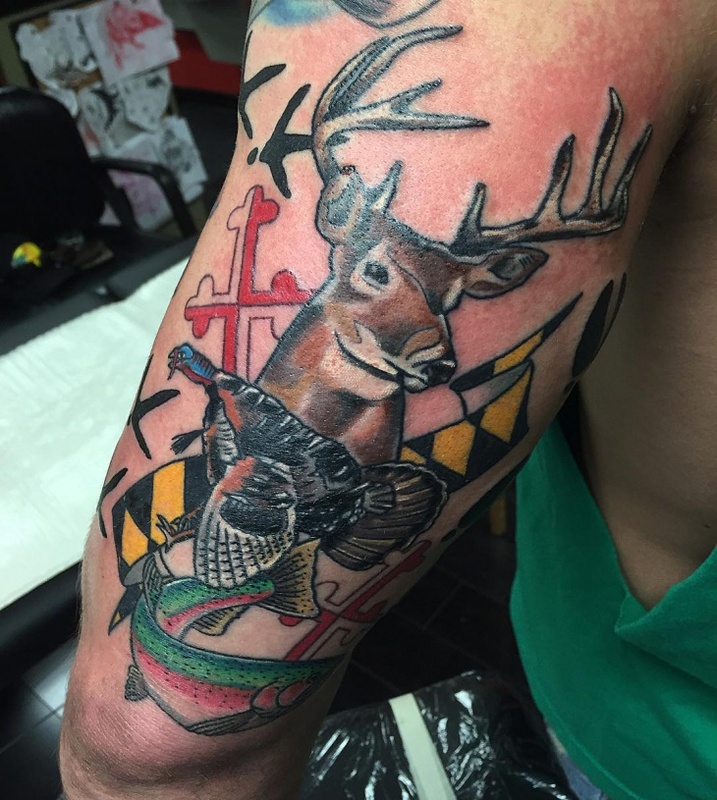 Wildlife tattoo designs also hold a high significance due to which people love to get their bodies inked. 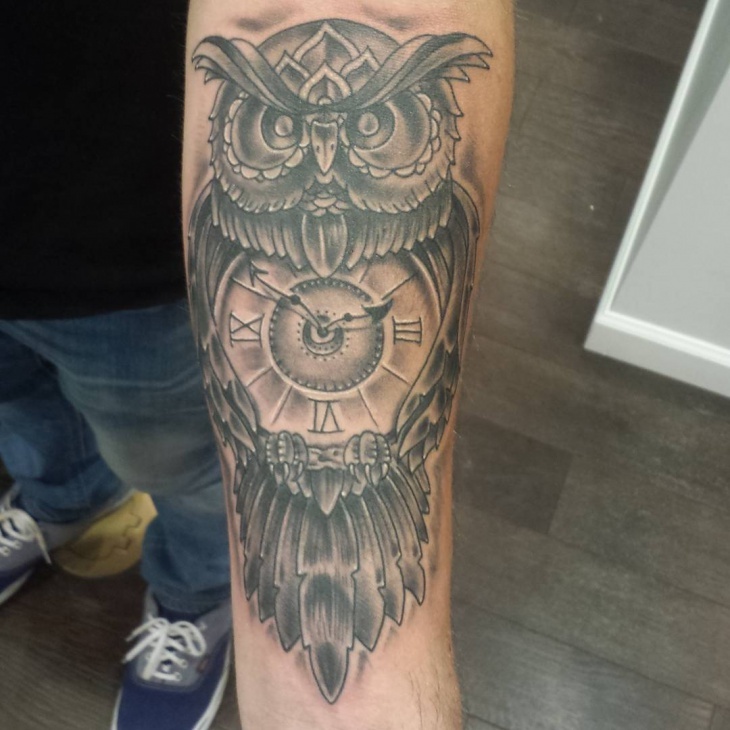 These highly creative and incredible tattoo themes are very much in trend and sported by a certain group of people. 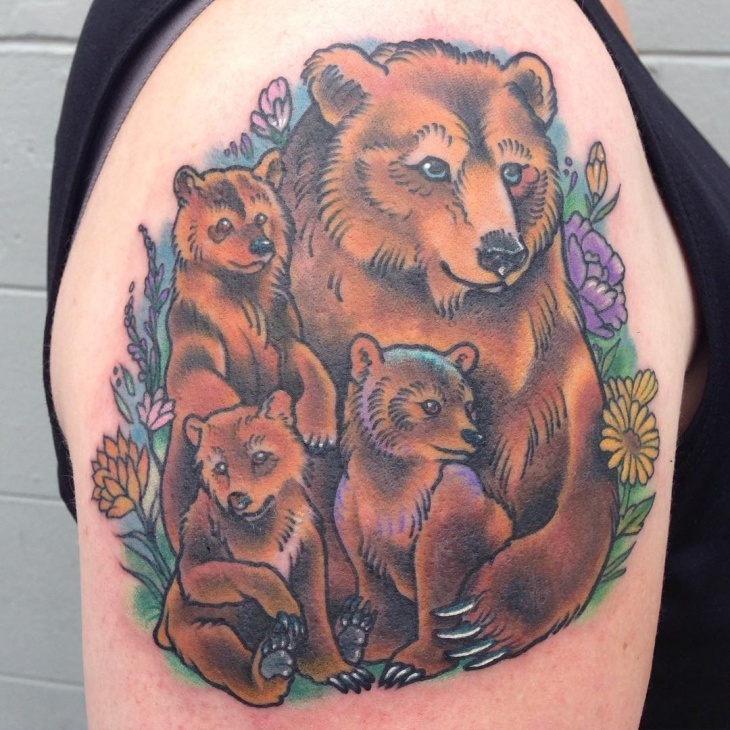 Below is a list of totally awesome wildlife tattoo designs. 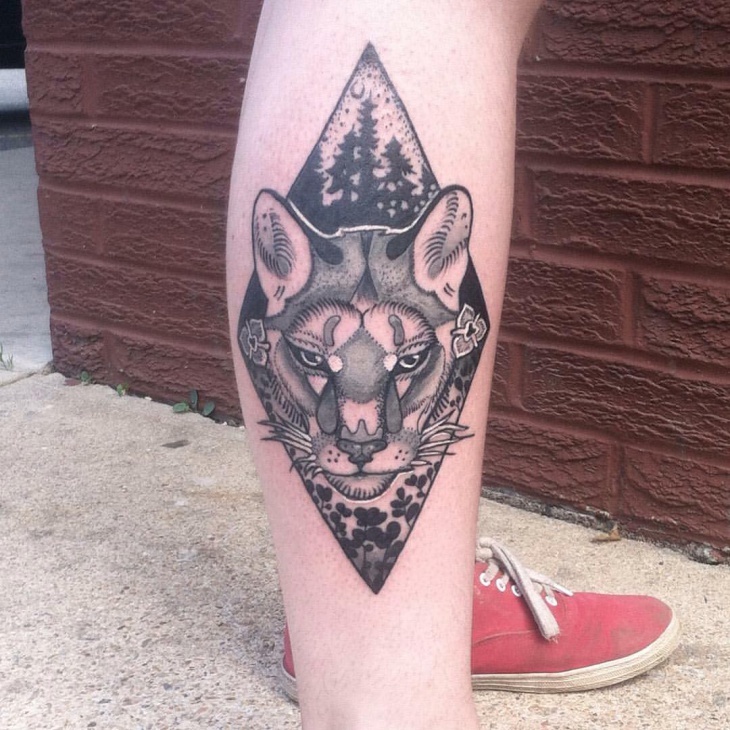 This mountain lion wildlife tattoo is truly an amazing tattoo idea for wildlife lovers. It features a fierce lion whose top and bottom is covered with two large mountains. 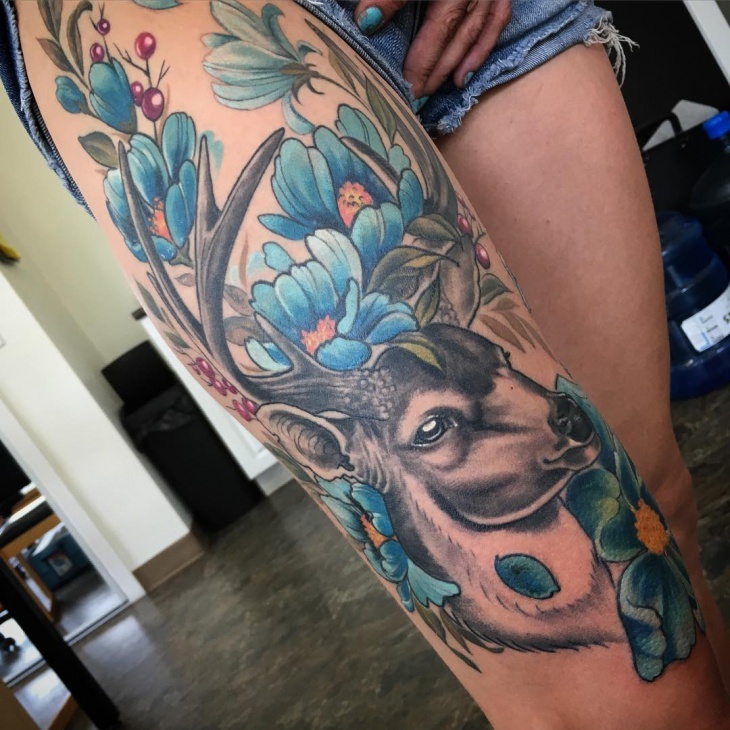 The tattoo has been inked in the leg of a woman. 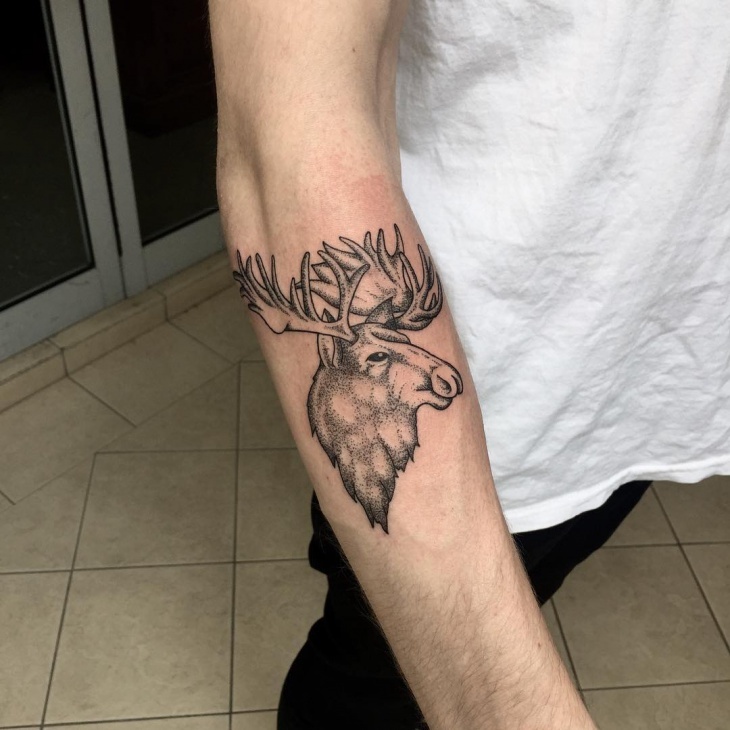 This moose tattoo inked on the arm of a boy features the wildlife animal’s face alone along with the horns. It does not have any other element drawn on the hand. It holds a significant impact and is said to have its own effects, apart from it being in trend. 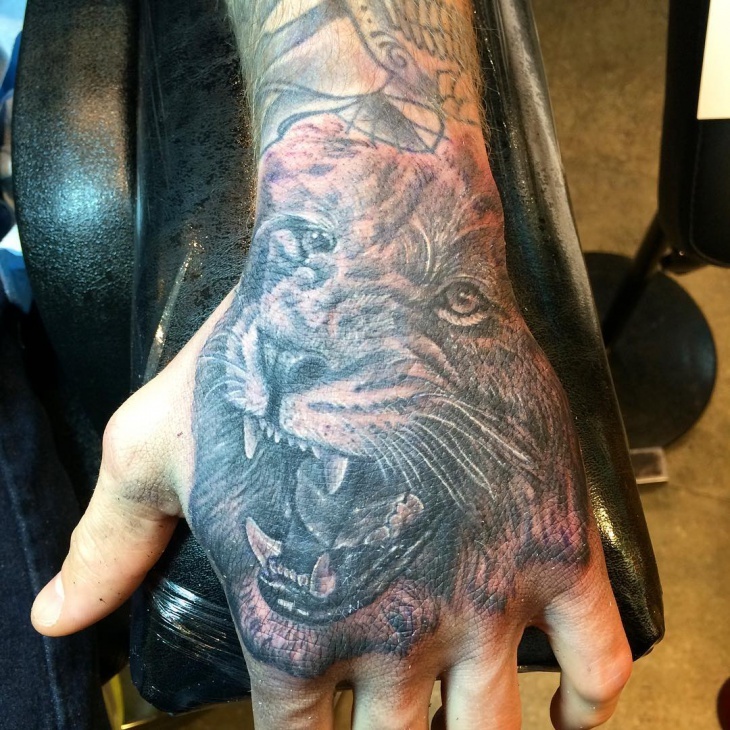 Well, when it comes to tattoo designs, playing with colors is certainly fun and more exciting. 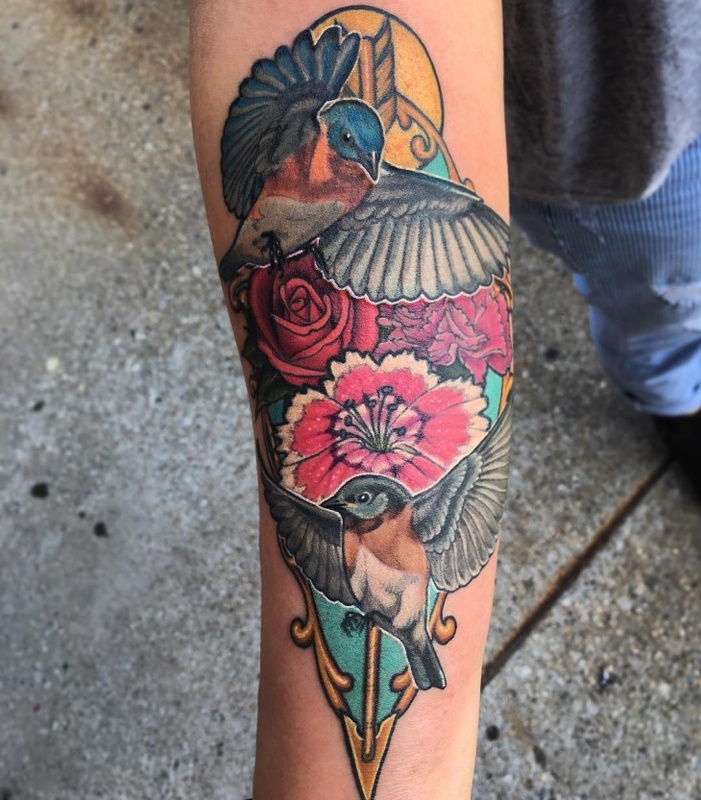 This wildlife tattoo on hand features two birds alongside several flowers in a wild forest. 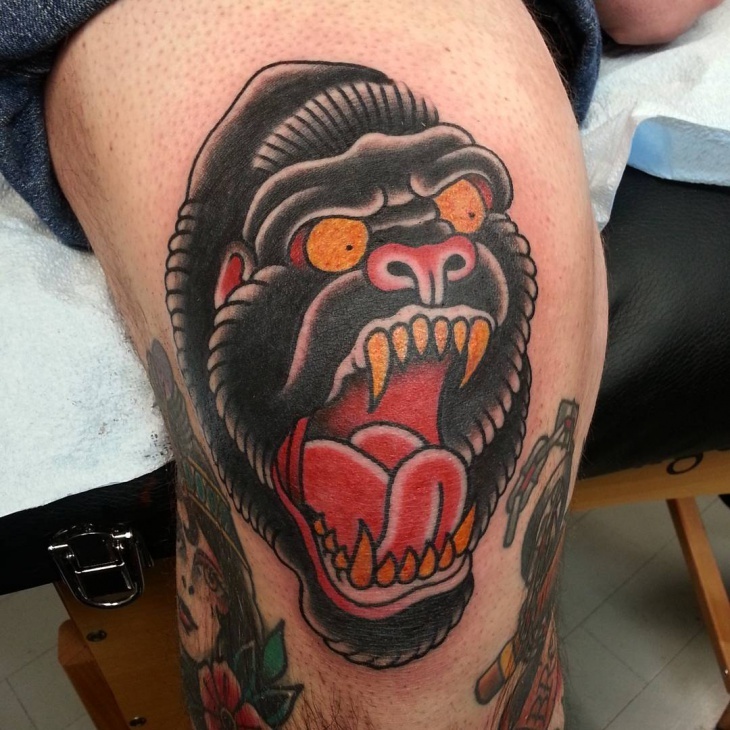 The gorilla tattoo in the picture is one hell of a wild tattoo, featuring a wild gorilla roaring with its mouth open and its teeth visible giving a very scary picture. 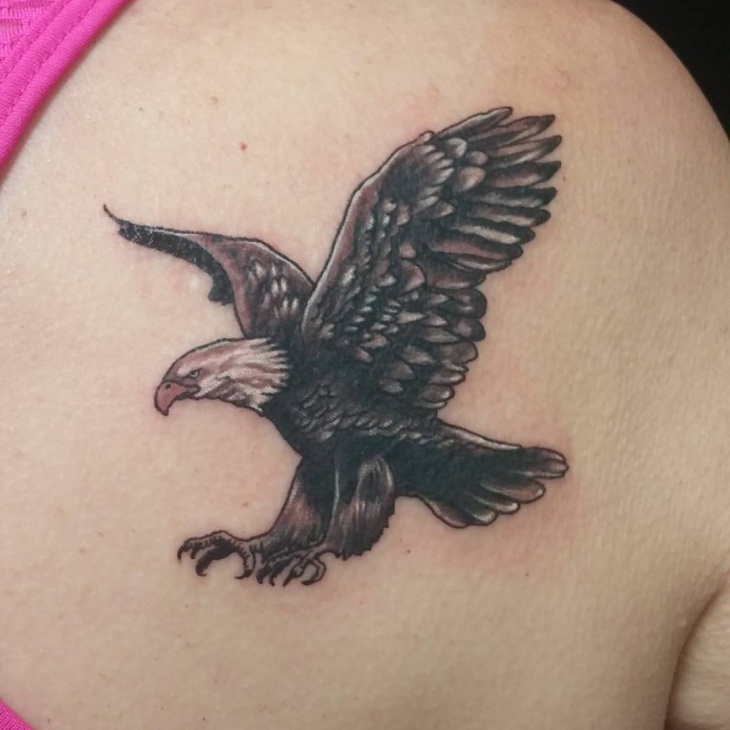 It is a traditional tattoo holding a high significance on the wearer. 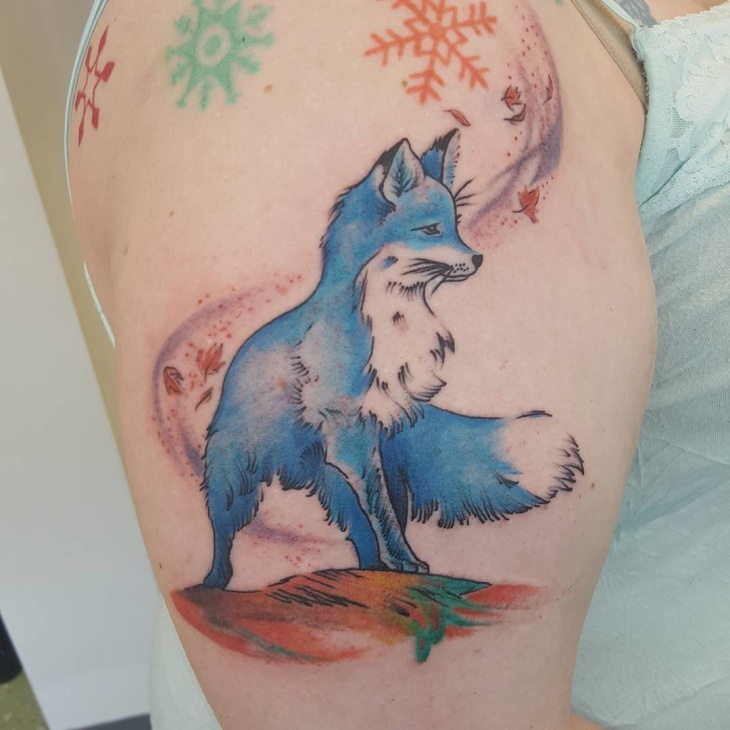 This stunning water color tattoo features a wild fox painted in unusual colors. The fox can be seen in blue with pretty colors used for the sand, flowers and other surrounding elements. 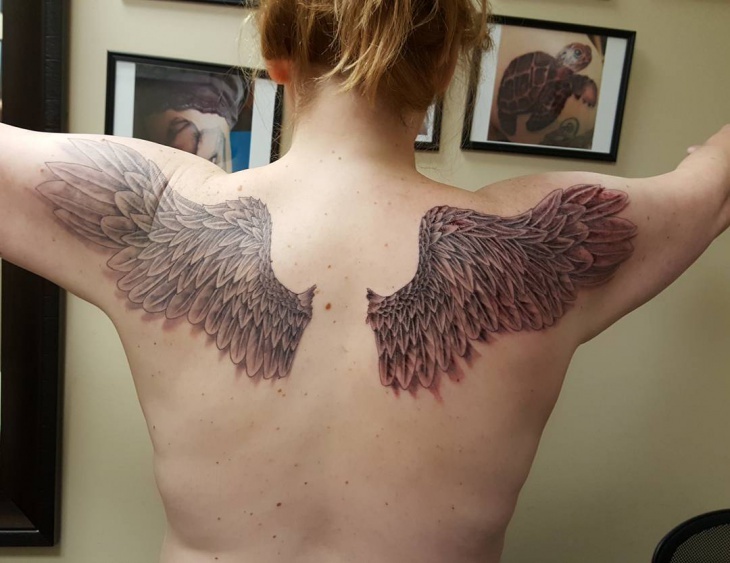 This tattoo is featured on a girl’s arm since it contains several colors. 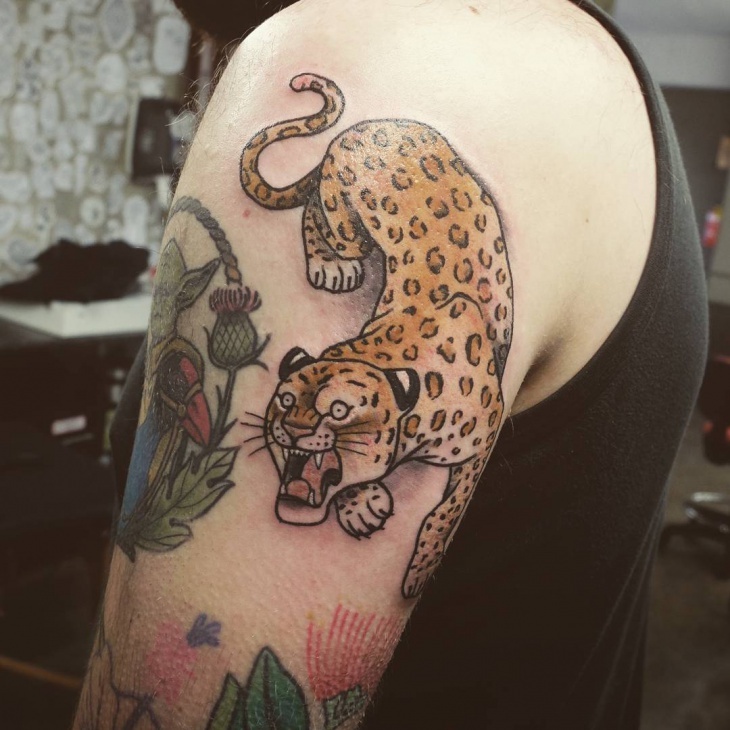 This awesome leopard tattoo on the arm of a woman is for the true lover of wildlife. It features a very wild leopard opening its mouth roaring at something. Along with the leopard are several forest greens and flowers. 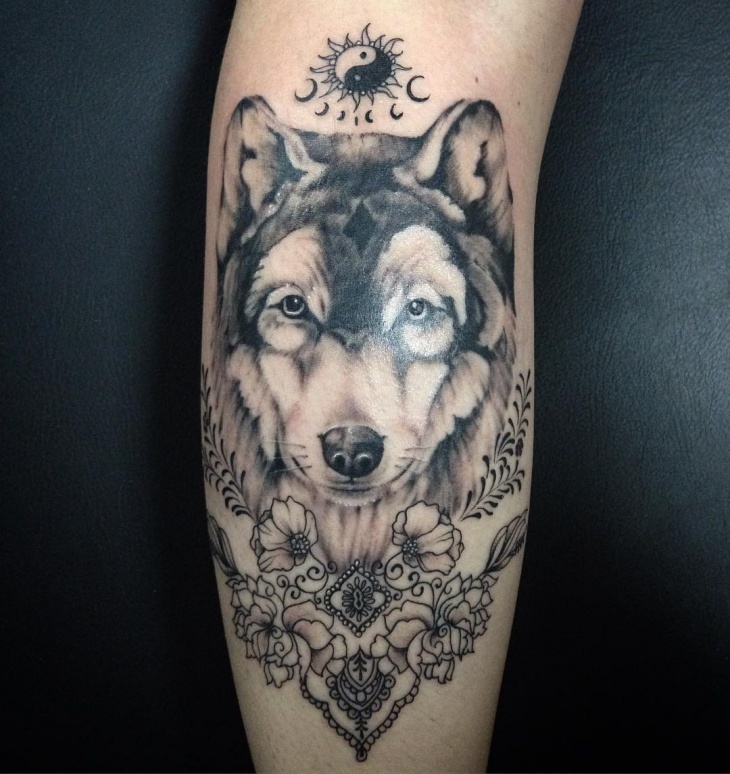 This larger than life tattoo design of a wolf is realistic and painted to perfection. 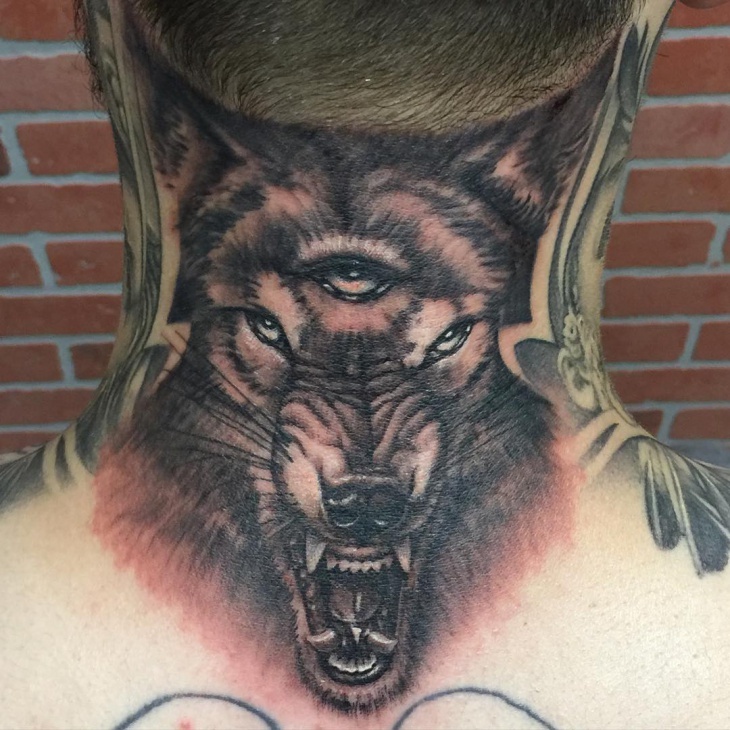 It features the face of a wolf on the hand of a person along with some floral printed patterns drawn below the head of wolf. 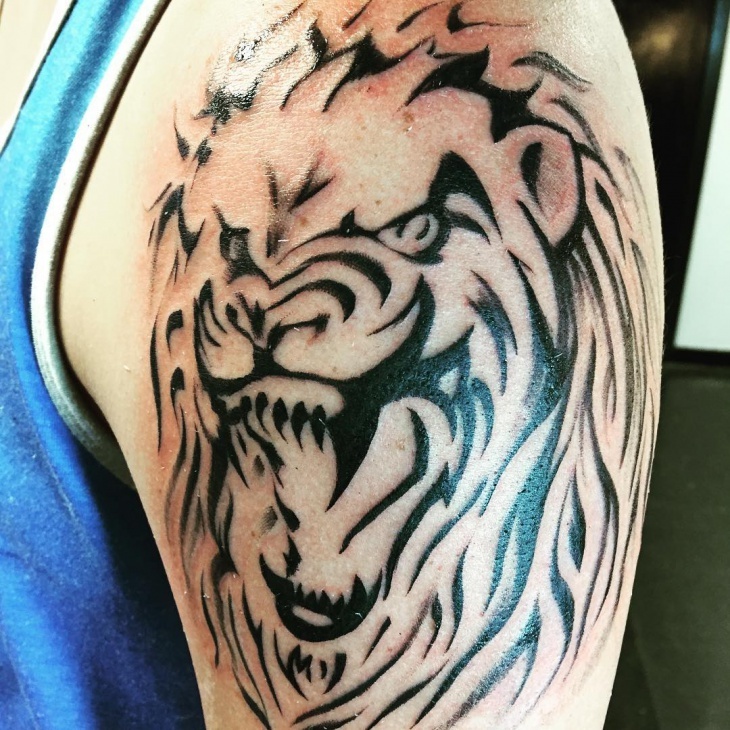 This wildlife tattoo design on the shoulder contains a tribal print wherein picture of a wild lion is inked in black, along with tints of red surrounding. 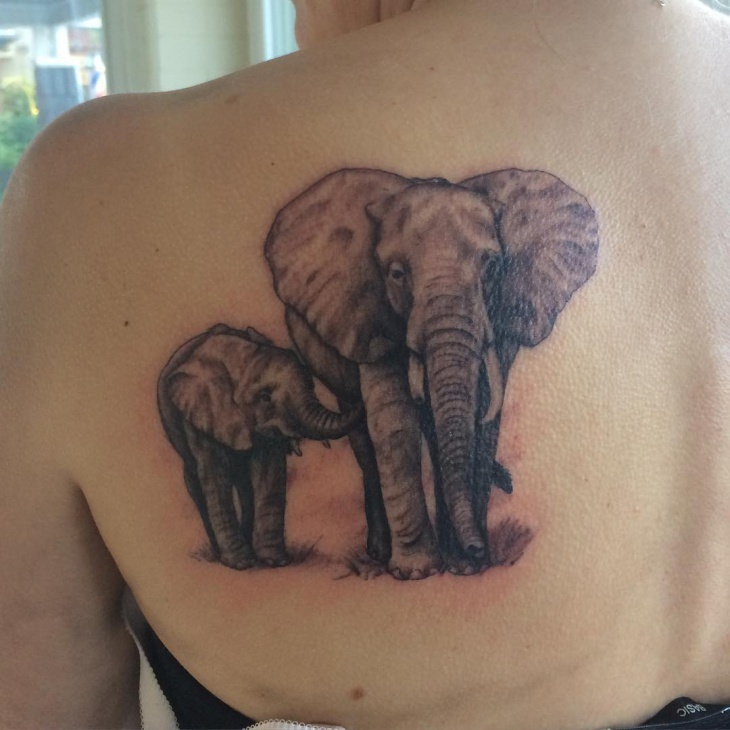 This tattoo is a great representation of body art with the love of wildlife. 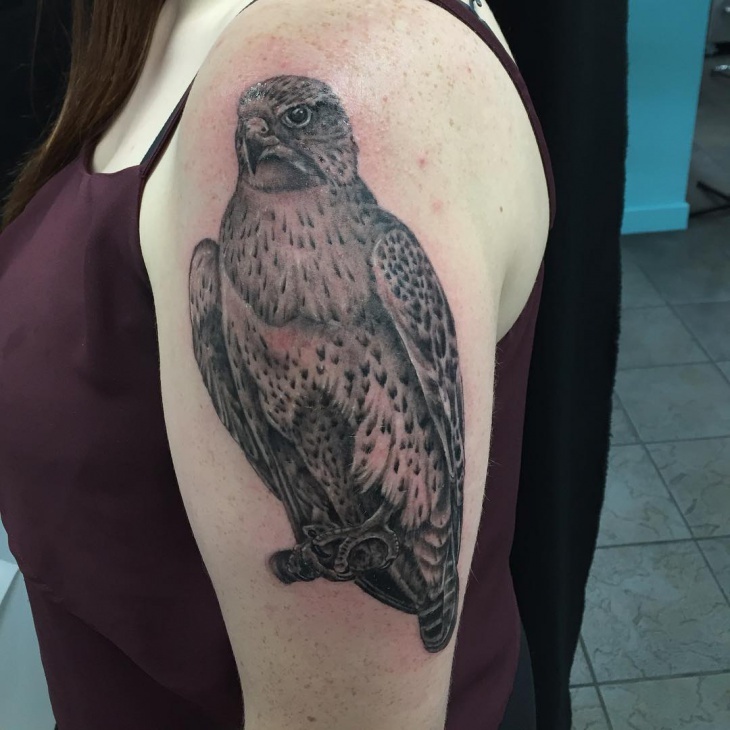 Tattoo designs today come in several themes and there is no limitation to the designs that can be be drawn. 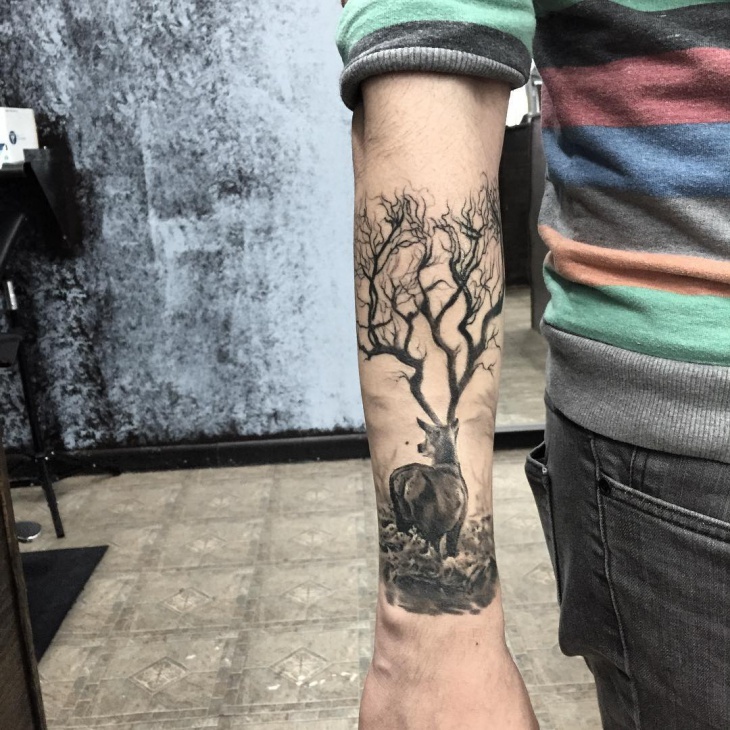 One such amazing yet unusual theme for tattoo designing is the wildlife design. 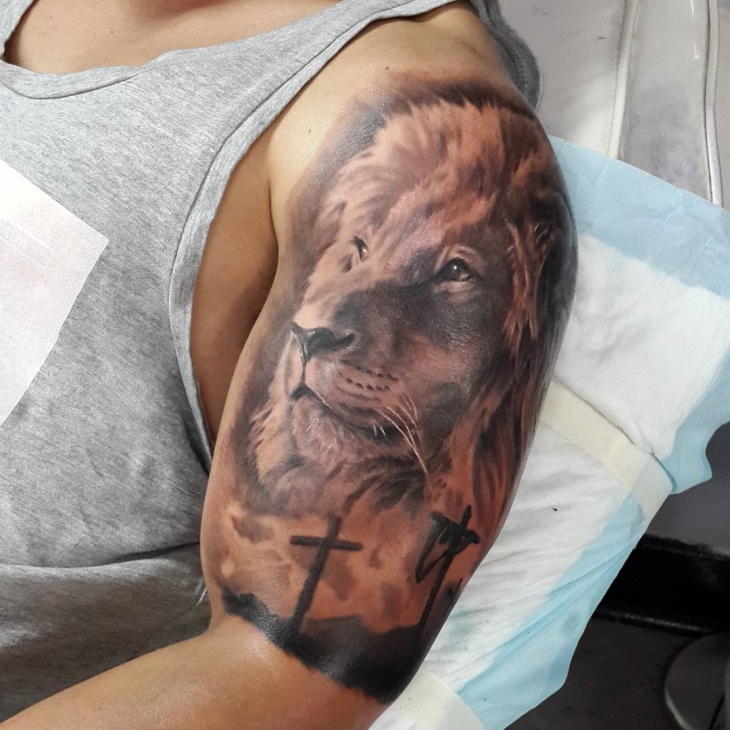 Several wild animals like lion, wolf, deer etc are inked on hands, arms and thighs.